Made from very old vines, this is pure clear and delicious. It is earthy style but the fruit is glorious with great weight, beautiful balance, tannins present but enrobed by the fruit. With all the length you could want, this impeccable wine is such a favourite of ours every year. Winemaker and general manager, David Croix, has been grumbling that he feels he has the temperament of a grower rather than the deal-making knack of a born negoçiant, so he hasn’t found it easy to fill the cellar in 2012. We also find that tasting with him feels like being in a grower’s cellar, though Camille Giroud only owns a couple of vineyards. There are, nevertheless, one or two really exciting new wines here this year, notably the Volnay Santenots, and the whole cellar is on top form. 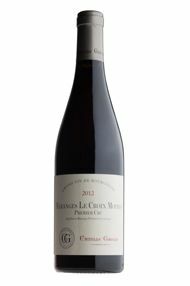 The Wine Advocate - The 2012 Maranges 1er Cru Croix Aux Moines (which I noticed had been incorrectly chalked up as Marsannay on the barrels) has a very attractive bouquet with bright raspberry, bay leaf and wild strawberry scents, with just a mote of chalk dust. The palate is nicely balanced with crisp tannins. There is good weight here with blueberry on the finish that is reminiscent of a simple Bonnes-Mares, without the same level of complexity. 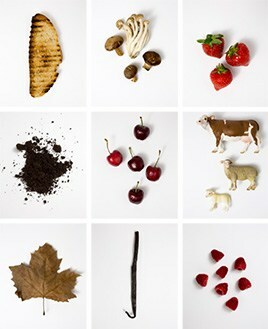 This should be very appealing once in bottle, albeit in a rustic manner. There are two parts to the Camille Giroud story. The first begins in 1865 when the enterprising young Camille Giroud founded the small négociant firm which carries his name. He married late, as did his son, so by the end of the 20th century the company was still being run by the founder’s daughter-in-law and her two sons. The company’s motto in the later days was to make wine in as old-fashioned a way as possible: heavy extraction and very long barrel ageing. Part of the crop might be sold early on but most was kept back until it was ready to drink, which might be 30 or 40 years later. There were plenty of misses but also some extraordinarily fine wines. Almost all production was and still is red. Stocks of these old style wines still exist, with various 1976s still to be offered for sale. In January 2002 the company was bought by an American consortium led by banker Joe Wender and winery owner Ann Colgin, and a new chapter began. The business is managed by winemaker/technical director David Croix (of the eponymous Domaine des Croix) with a major revamping of the winemaking facilities and especially replacement and renewal of the old barrels to make wines in a much purer, more modern style. The company also owns 1.20 hectares of vineyards, consisting of Hautes-Côtes de Beaune, Beaune premier cru Cras and Beaune premier cru Avaux. The quality of winemaking is now consistent and very much in the modern, quality-oriented genre, although the practice of very gentle oak treatment and little racking continues, so that each cuvée has a very individual character. 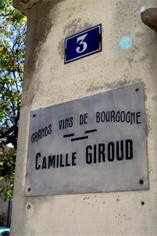 Camille Giroud has tiny vineyard holdings in Beaune; otherwise relying on contracts from as far afield as Marsannay and Maranges, with particular strengths in Corton and the Gevrey Chambertin vineyards. The current plan is to increase the range of white wine offerings. Maranges is the southernmost wine appellation of the Côte de Beaune and not as well known as it deserves to be for its robust red wines. The AC only came into existence in 1989 with the amalgamation of the villages of Cheilly, Dezize and Sampigny. 140 hectares of village Maranges. Though a very small amount of white wine is made, the lion’s share is Pinot Noir – firm, sturdy wines which need a gentle hand to manage the fruit. Normally drunk best at three to five years old.